The Lancer Tactical Softshell BDU Jacket is a great option for cold weather game play. It's 100% polyester construction is designed to keep you warm by trapping your body heat. It features three zipped front pockets and two velcro panels on the sleeves. It has adjustable velcro wrists for fitment and sturdy YKK zippers. 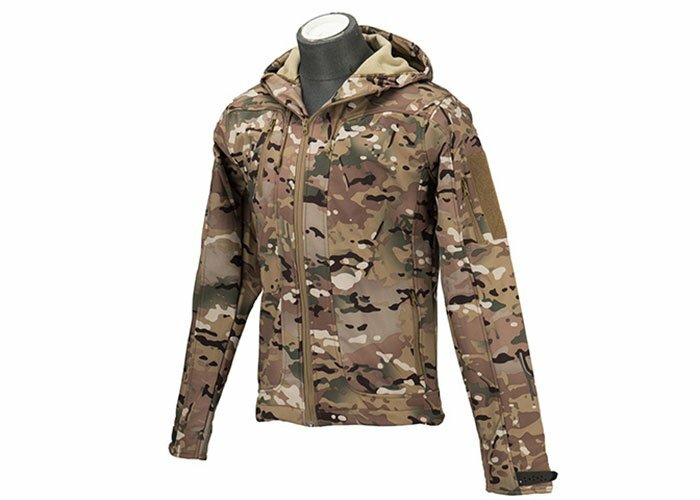 This softshell jacket also sports a modern camo scheme that will allow you to blend into your environment with ease. So zip up, strap in and disassemble your enemies in comfort.